Home to the ancient temples of Angkor and the famous towers of Angkor Wat, Cambodia has been the scene to some of the most shocking atrocities within modern history and as such tourism is still in it’s infancy. Once home to the great King Jayavarman VII, Cambodia was one of Asia’s strongest powers and has a compelling history to tell you about. 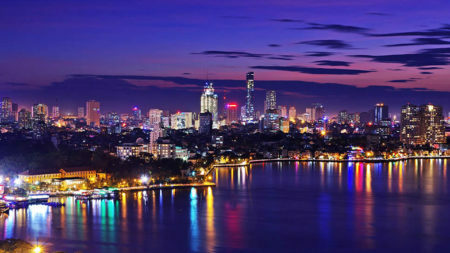 Click here for details of our 11 day Mekong River Cruise Tour of Cambodia and Vietnam. Tours of Cambodia are still relatively new compared to other countries in Southeast Asia. The atrocities committed by Pol Pot and the Khmer Rouge still very much apparent in peoples mind both locally and on a global scale. It’s certainly testament to the resolve of the Khmer people that the country can re-bound from such horrors and today offer visitors the warmest of welcomes. Ancient temples and bustling markets as well as simple but charming beach accommodation and by far the tastiest crab in the world ensure that if you experience our Cambodia private tours, you won’t leave disappointed. 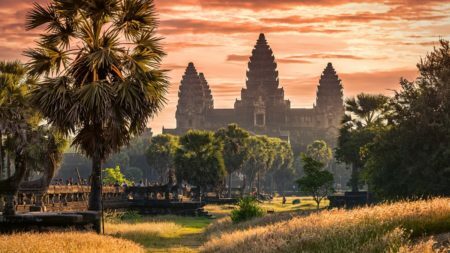 All too often we see people trying to rush their tour of Cambodia by cramming in a few days at Angkor Wat combining with neighbouring Southeast Asian country’s and that being the only experience they get of Cambodia. 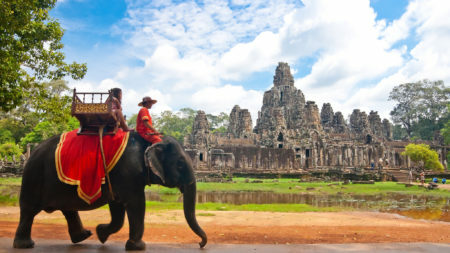 Whilst the temples of Angkor are undoubtedly a massive draw the country really does offer a lot more. With regard to time at the temples, this is very much dependent on a persons specific interest in the ruins and or the history behind them. 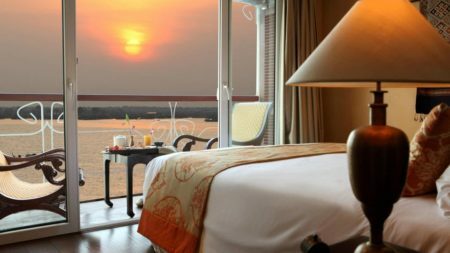 A typical stay close to the complex in Siem Reap town would generally be for three nights, allowing a clear day to see the main temples plus another to experience the great Tonle Sap Lake. Visiting our favourite temple, Ta Prohm at dawn is a must, having this remarkable site, which has been lost to thick Khmer jungle, to oneself whilst watching the sunrise is one of Asia’s most memorable experiences during a Camobodia tour. Of course those with a deeper and more intriguing interest in the temples can certainly spend up to one week with an expert guide explaining the fascinating complex and the surrounding outer temples. The Cambodian capital Phnom Penh, is one of the hidden gems of Southeast Asia in our opinion, the city is not as polished as other Asian capitals but this is perhaps what adds to its’ rough and raw charm. The grand French Colonial buildings which line the wide boulevards and bustling riverside area combine well with the 60s art-deco Central market which sells a diverse range of food, textiles and gems. The annual Water-festival, which marks the changing of the water current, which joins the Tonle Sap to the mighty Mekong, is a spectacle not to be missed on any tour of Cambodia as one million people descend on Phnom Penh to join in the celebrations. The country’s south coast is home to some intriguing and relaxing beach resorts, the largest town on the coast, Sihanoukville is popular with backpackers on tours of Cambodia and ex-pats escaping Phnom Penh for the weekend. Whilst offering a good beach with some decent accommodation options, we feel that the sleepy town of Kep is the most charming of all Cambodia’s resorts. 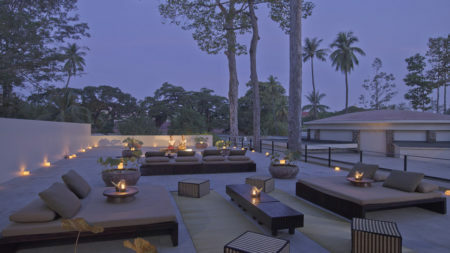 Kep was once the Monaco of the East during the colonial times where diplomats held lavish parties in their grand villas. These villas were decimated under the Khmer Rouge and today are just shells over-grown by thick jungle and palm trees. 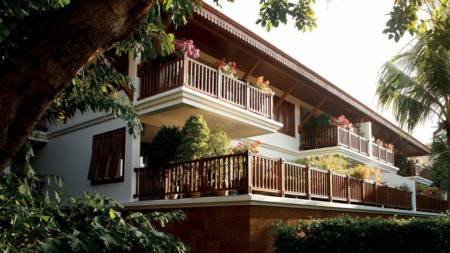 Kep has however under-gone something of a renaissance in recent years, this sleepy seaside town offers a good range of charming hotel accommodation as well as the best seafood in the whole of Southeast Asia, our opinion of course. Those wanting more adventurous Cambodia private tours should head to the “Wild East”, Ratinikiri province, home to a number of minority tribes who live within the remote jungle, accessible only by boat. Cambodia’s second largest city, Battambang is rarely visited but makes for an interesting few days when combining Phnom Penh and the temples of Angkor. Here visitors will find pre-Angkorian temples such as Wat Banan as well as the quirky “Bamboo railway” the only form of rail road within Cambodia. 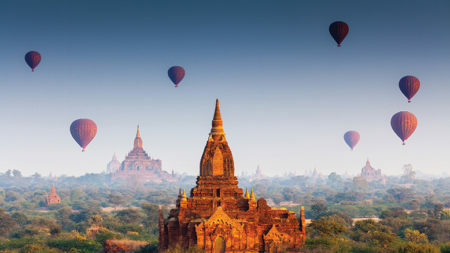 Cambodia is also home to some interesting National Parks, the Mekong town of Kratie is where the famous and elusive Irrawaddy River dolphins can be found. The Eastern state of Mondulkiri offers visitors the chance to view wild Elephant, Guar and Gibbons as well as some of the countries most striking scenery. Flight time from UK: Flights generally route via Southeast Asian Hubs (Bangkok, Singapore, KL) without connections the flight time is around 13 hours.